Pixium Vision, developer of innovative vision restoration systems, has received the go-ahead from the UK’s Medicines and Healthcare products Regulatory Agency (MHRA) to begin a clinical trial of its bionic eye system. The bionic vision system, called the IRIS II, includes various apparatus to restore the vision of those affected by inherited eye disorders affecting the retina, termed retinitis pigmentosa (RP). For people with RP, sight loss varies from person to person, with some people going blind over a period of years but most retaining some useful vision. The 150 electrode (almost three times more electrodes than available previously) epi-retinal implant is surgically attached into the eye, which stimulates the nerve cells of the inner retina, relaying signals to the optic nerve. The electrode itself boasts an explantable design, allowing for potential upgrades to newer therapy options. The patient also wears a set of goggles that includes a small bio-inspired camera filming outside sensory information and relaying it to the implant. The term “bio-inspired” refers to the camera’s continuous capturing of changes in a visual scene due to its unique, time-independent pixels, as opposed to taking a sequence of video frames seen with traditional imaging sensors. Pixium’s IRIS II technology uses bio-inspired glasses and an explantable epi-retinal implant to restore the vision of those affected by RP. 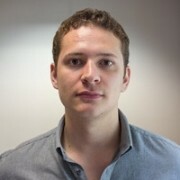 Image courtesy of Pixium Vision. The clinical trial will involve sites across France, Germany, Austria and the UK, including newly-enlisted Moorfields Eye Hospital. The extensive list of ophthalmology centres involved allows greater patient outreach across Europe and an increased opportunity for participation in the trial. There are currently up to 10 patients with RP, Usher Sydrome, Cone-Rod dystrophy and choroideremia who will be included in the trial. Progress will be monitored for at least 18 months, with an additional 18-month follow-up option, subject to patient consent. 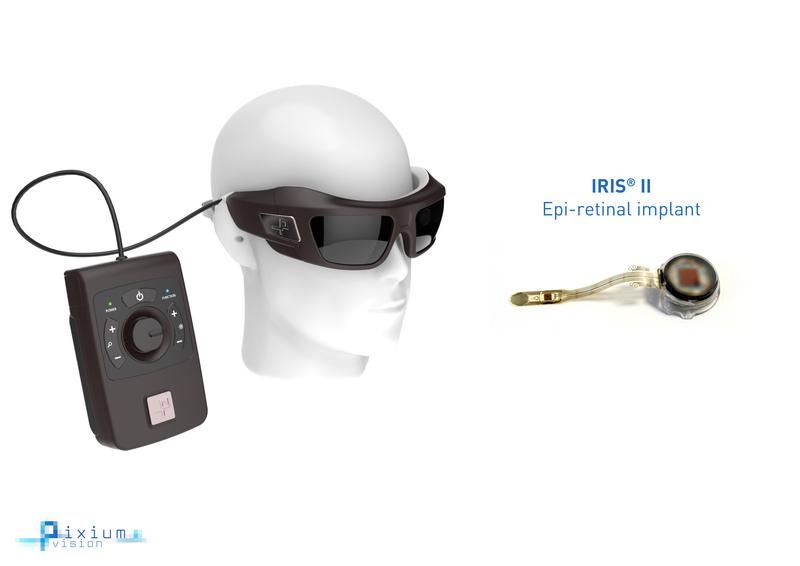 Commercialisation of the IRIS technology is expected to begin in the latter half of 2016, following the completion of a CE mark approval process the company filed for last December.